Image: Parkz. 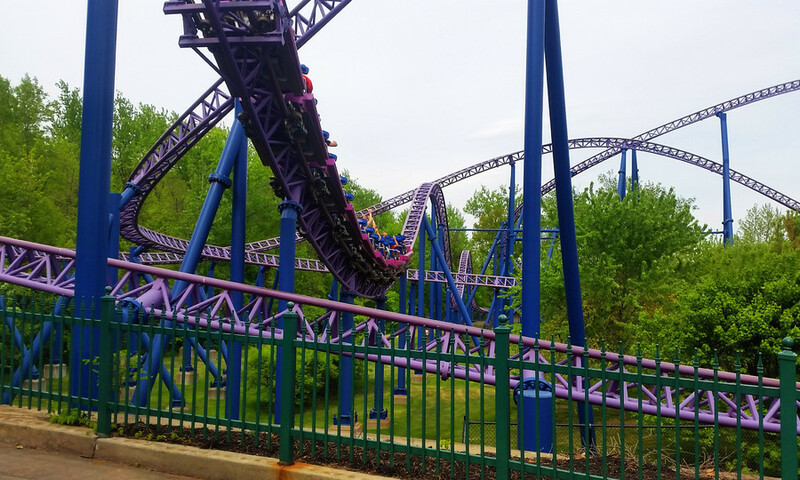 Superman the Ride (known as Bizarro from 2009-2015), a hypercoaster at Six Flags New England in Massachusetts has consistently rated as the #1 steel roller coaster in the world since opening in 2000. 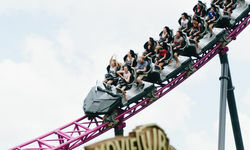 The theme park uses the ride's industry recognition extensively in their marketing and PR for the attraction, helping make the ride a perennial drawcard. 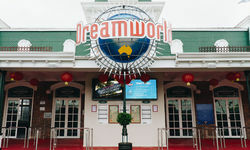 For many years Dreamworld has been the theme park known for its thrills. Between the world record breaking Tower of Terror II and Giant Drop and thrill rides forming the backbone of the park's advertising for many years, no one has come close. 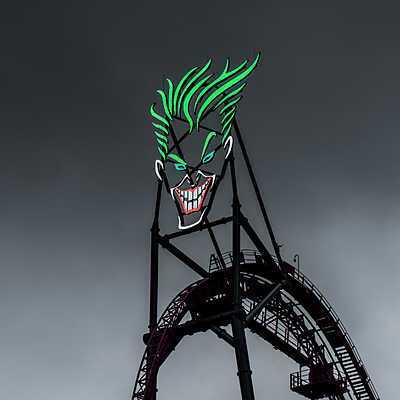 Warner Bros. Movie World has edged ever closer by proving that quality is perhaps more important than quantity, with Superman Escape, Arkham Asylum - Shock Therapy, Green Lantern Coaster, Batwing Spaceshot and Doomsday Destroyer rivalling anything Dreamworld has to offer in its increasingly family-friendly Big 9 thrill ride collection. The near flawless execution of Superman Escape (the highest rated roller coaster on Parkz) notwithstanding, Movie World has never really sought to seal the deal with a genre-defining attraction on the level of Dreamworld's Tower of Terror. But the addition of a hypercoaster makes that bold statement: Movie World is the theme park for thrills. It's a ride of such enormity and cost that is unlikely to be repeated anytime soon, if ever. 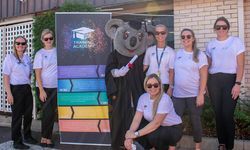 It's the biggest gamble ever in the Australian theme park industry. But it's one that can pay off. You can be sure that it will attract considerable global attention as one of the largest roller coasters being built in 2017. With global interest could come industry accolades. By building a hypercoaster Movie World have a real shot at recognition in the Golden Ticket Awards, either in the Best New Ride category or with a prominent ranking in their Best Steel Coasters list. DC Rivals HyperCoaster won't be eligible in the 2017 awards as they take place in early September, but it does give the ride almost a full year of exposure if Movie World decide to engage in an industry PR campaign for the ride. So what is it about this style of ride that makes it such an unbeatable force for Movie World, and a pretty safe bet for global recognition? With a height of around 61m (200ft), the hypercoaster will be the tallest complete circuit roller coaster in Australia. Tower of Terror II and Giant Drop are still taller, but don't come close to the multi-faceted, sprawling experience that a hypercoaster does. Sheer height isn't all it's about. It's the traditional, slow lift hill on hypercoasters where anticipation and excitement builds. If Lewa Adventure's Flash (Mack Rides' only other hypercoaster) is anything to go by, then riders of Movie World's hypercoaster can look forward to about 60 seconds spent on the slow, steep incline to start the ride. That's a minute to take in the surrounds and anticipate a steep, twisting drop unlike any ever seen on an Australian roller coaster. Currently Australia's tallest lift hill is Hot Wheels SideWinder at Dreamworld which clocks in at a comparatively modest 40 metres. The vast amount of land filled with footings should see a ride that bests the longstanding length record of Thunderbolt which clocked in at 1.2km upon debut in 1982, making this roller coaster the longest ever in Australia. Of course it's not just track length. The slow lift hill combined with the longest track ever seen in Australia will almost certainly result in a high-thrill roller coaster in excess of two minutes, enough time to soak in the sheer thrills on offer. Hypercoasters are traditionally airtime machines. That feeling of being thrust out of your seat as the train crests a hill, held in only by your restraint is commonplace on roller coasters overseas but you can count on one hand the rides in Australia that offer this thrill. 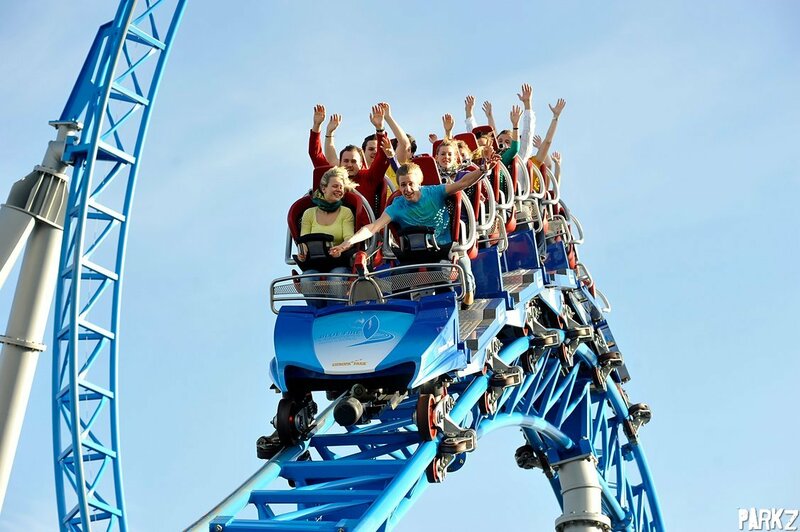 Of the Australian rides that offer any moments of airtime, Superman Escape is the only to really provide what roller coaster enthusiasts refer to as ejector air: that extreme feeling as your entire body weight is thrust into the restraint. 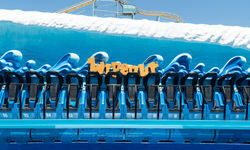 This intense airtime is a defining factor for why these rides are so critically acclaimed. Best of all, Movie World's hypercoaster doesn't need to rely on gimmicks to thrill. Just sheer scale, speed and g-forces on a ride with considerable length that will surely involve a wide variety of unique elements and physical experiences. Station plans revealed indicate that the ride will be capable of operating two trains at once. This essentially rules out a mid-course brake run, a section of track that allows more trains to operate but at the cost of the ride's pacing and speed. Instead we can expect a roller coaster that is unrelenting from the top of the lift hill to the moment it hits the final station brake run. 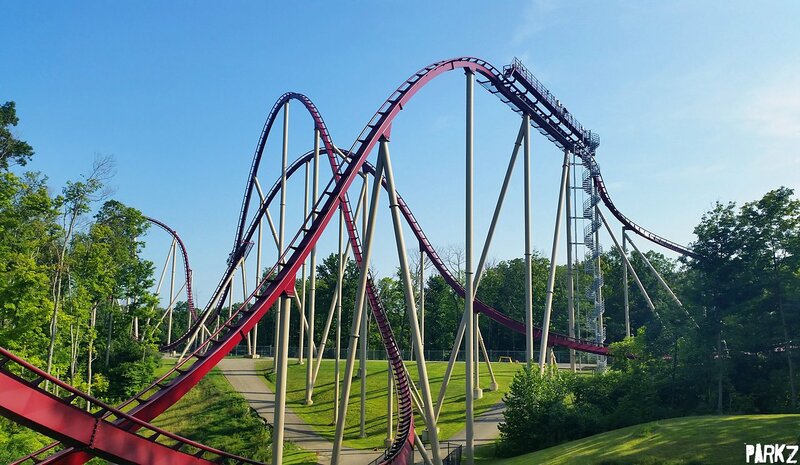 All indications are that Movie World's hypercoaster won't feature a mid-course brake run like the one seen here on Diamondback at Kings Island, USA. Mid-course brake runs trim away speed and sap much of the pacing on hypercoasters. Mack Rides are a relative newcomer to the world of hypercoasters. 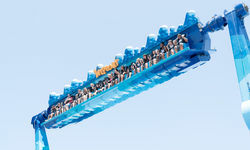 Manufacturers Intamin and B&M – the current leaders in the hypercoaster field – have been at it since 1999 and between them built nine of the top ten in the world. But Mack are closing in. 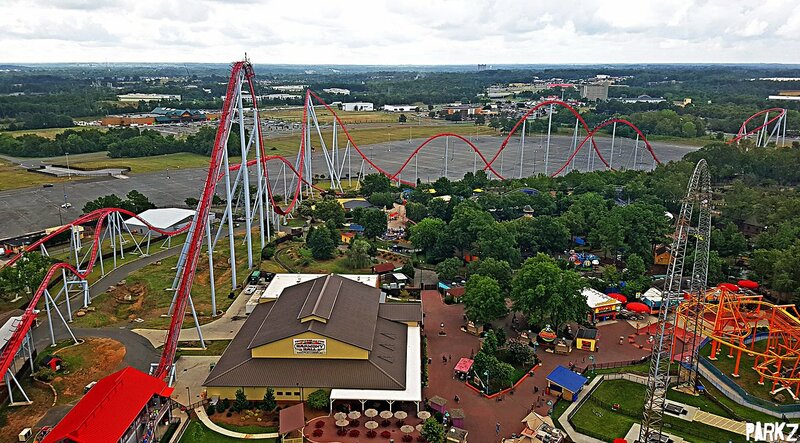 Their launched megacoasters have been lauded by critics as some of the smoothest, most well-designed roller coasters in the world and their coaster trains are known for their spacious design that leaves riders very much exposed to the physical experience that the ride has to offer. If Mack's output in recent years is anything to go by then there is absolutely a chance that Movie World's hypercoaster could see itself positioned among the most critically acclaimed rides in the world. Mack Rides have become renowned for their roller coaster trains which are very exposed and feature minimal yet very secure and comfortable restraints. The seats are perched up high to leave riders feet dangling well above the floor. There's no two ways about it. Movie World's new roller coaster will be the biggest thing ever in an Australian theme park, and it will remain that way for many years to come. With this addition there's no doubt that Warner Bros. Movie World will have earned the title of thrill capital of Australia.